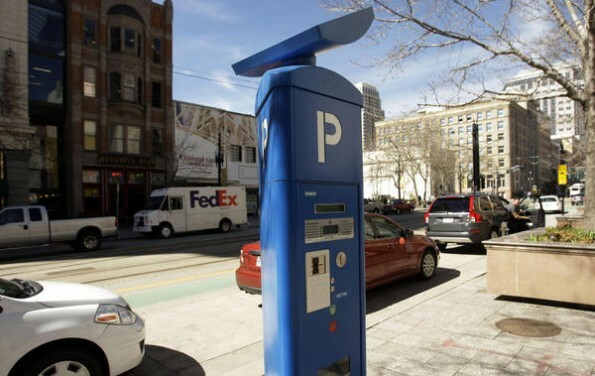 Has the increased parking meter fees help alleviate fees and taxes in Salt Lake City? Parking meter fees make up about two percent of the General Fund, which is the primary source of funding for police, fire, parks and streets. Taxes, fees, fines and forfeitures are where the rest of the money comes from to make up the General Fund, according to the Salt Lake City Budget Summary. Last year’s revenue from the parking meters were around $2.4 million. This is a substantial increase from the coin meters in 2011 which brought in $1.1 million. On the flip side of this increase to the General Fund is how the new parking meters have impacted the local businesses in a negative way. “Traffic on Broadway (300 South) has gone down considerably from when I moved in about five years ago. It has nothing to do with the economy, the economy is supposed to be rebounding right now. I just think it is the parking here and the lowered speed limit of 20 miles per hour. They don’t want to come down Third if they have to go a turtle’s pace,” says Arthur. “People say they avoid Third, that is a sad note that they won’t even come down here to shop or to walk around. It’s a pretty street, it really is a pretty street,” adds Arthur. Boutique clothing stores, coffee shops, restaurants, art galleries, antiques shops, bars and a garden store are a sample of the types of unique businesses you can find on Broadway. The Salt Lake Gallery Stroll held on the third Friday of every month is a great way to visit and support locally owned small businesses.